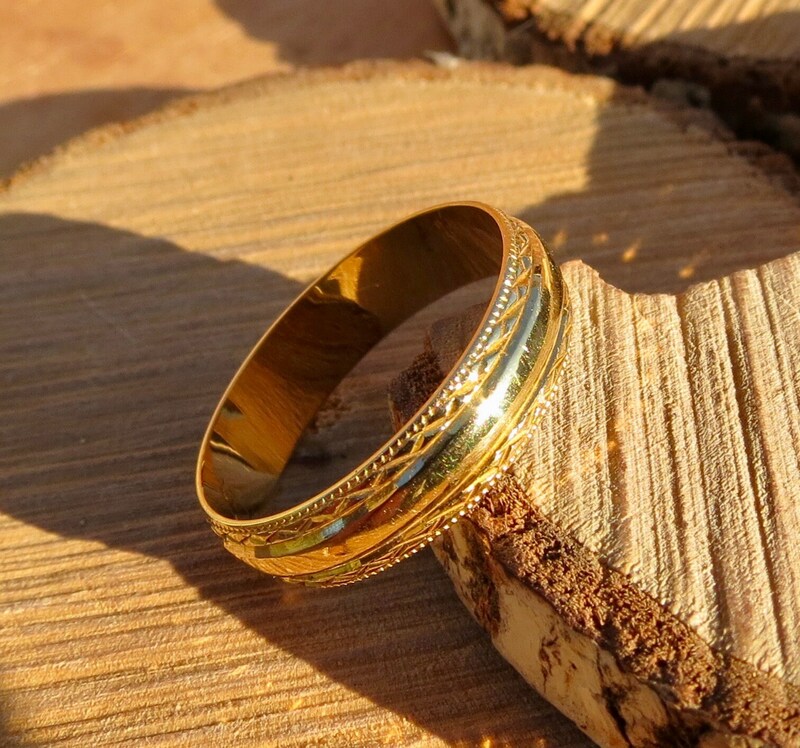 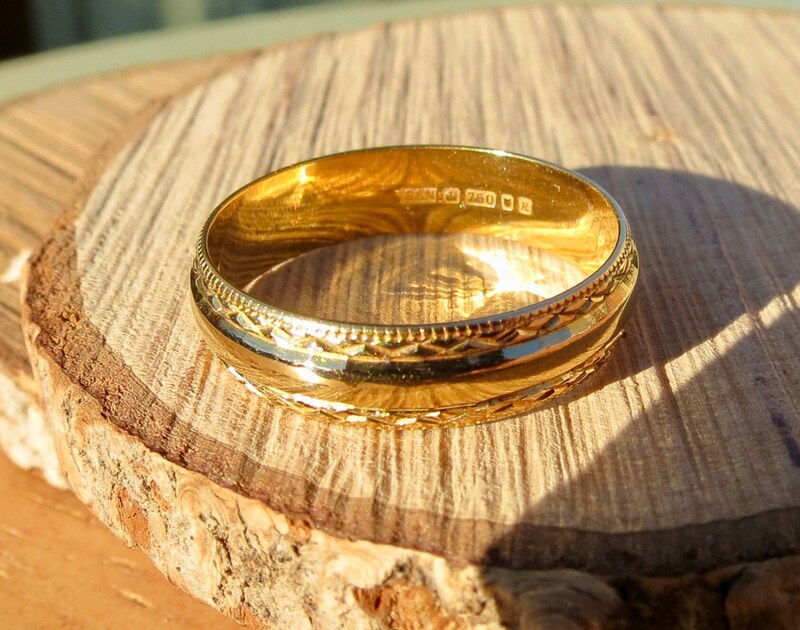 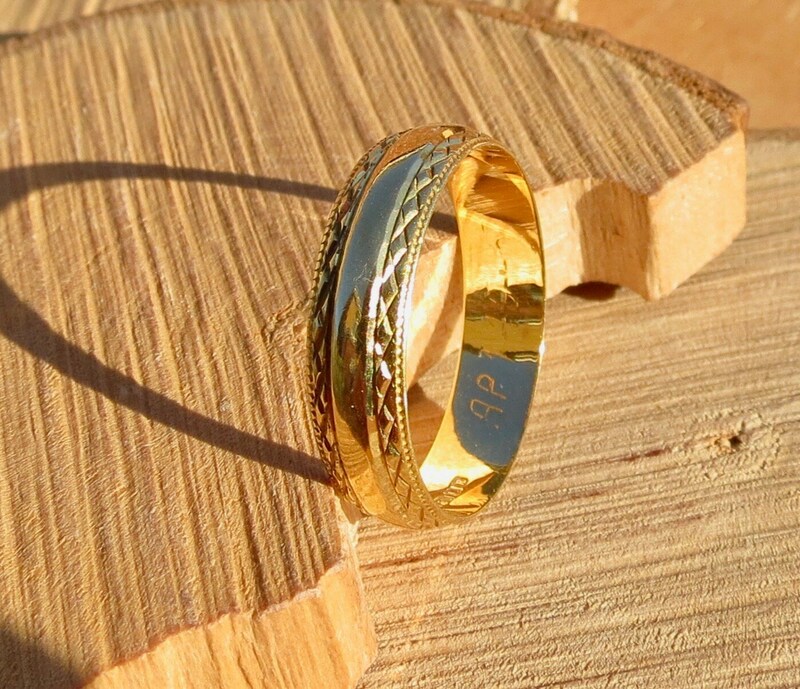 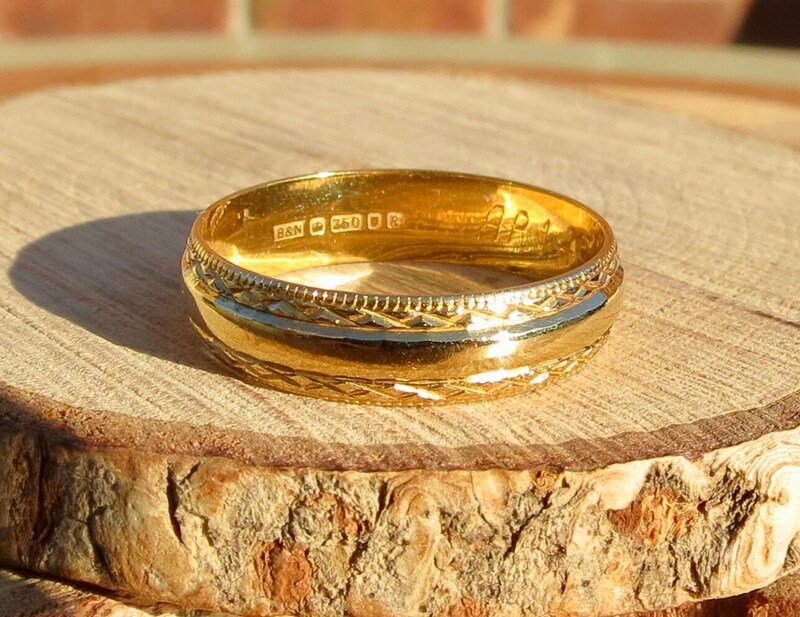 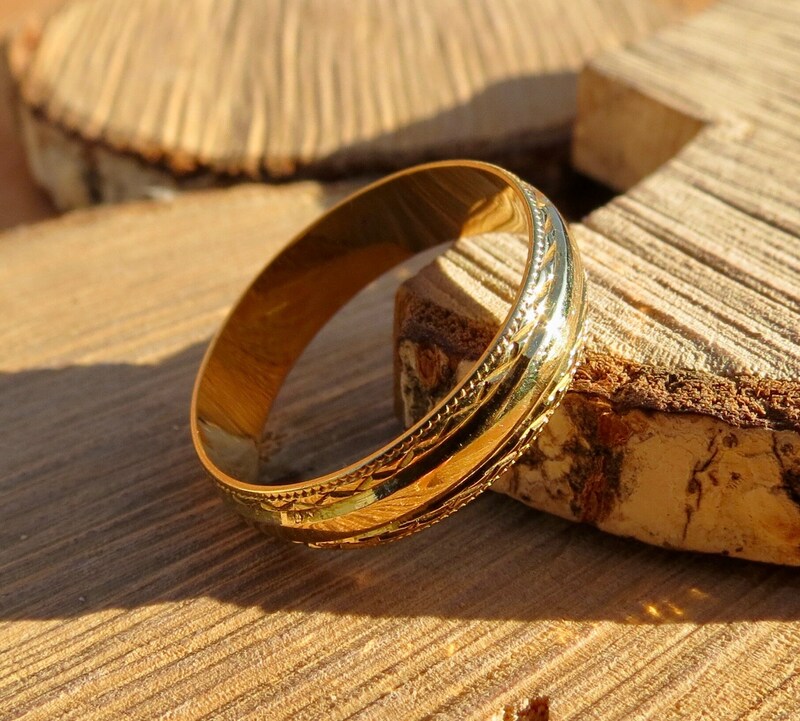 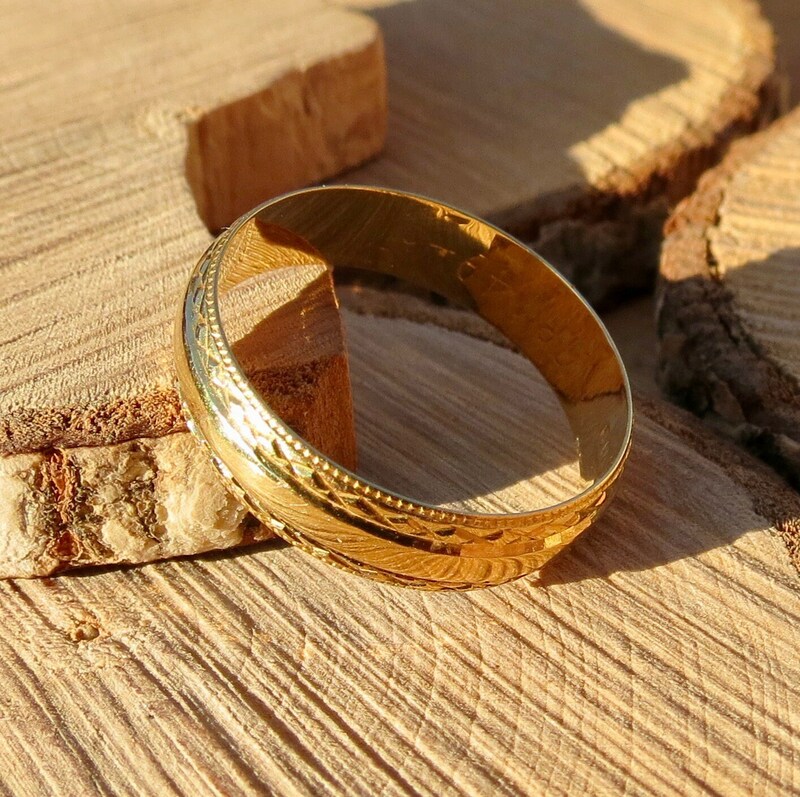 18K yellow gold engraved band. 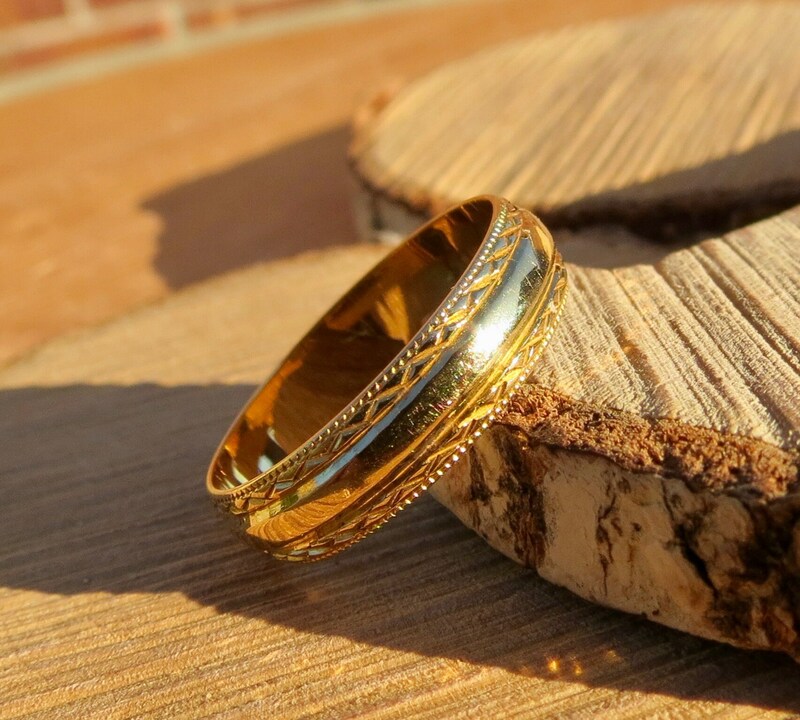 18K yellow gold geometric engraving to both edges. 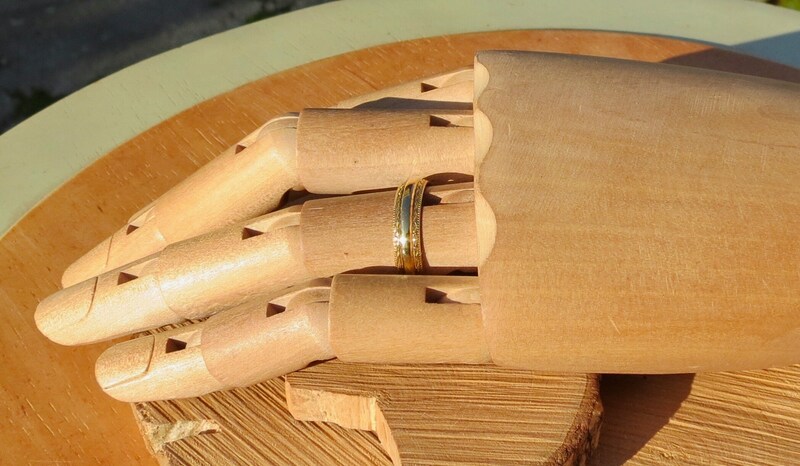 Width band 5 mm, D profile. 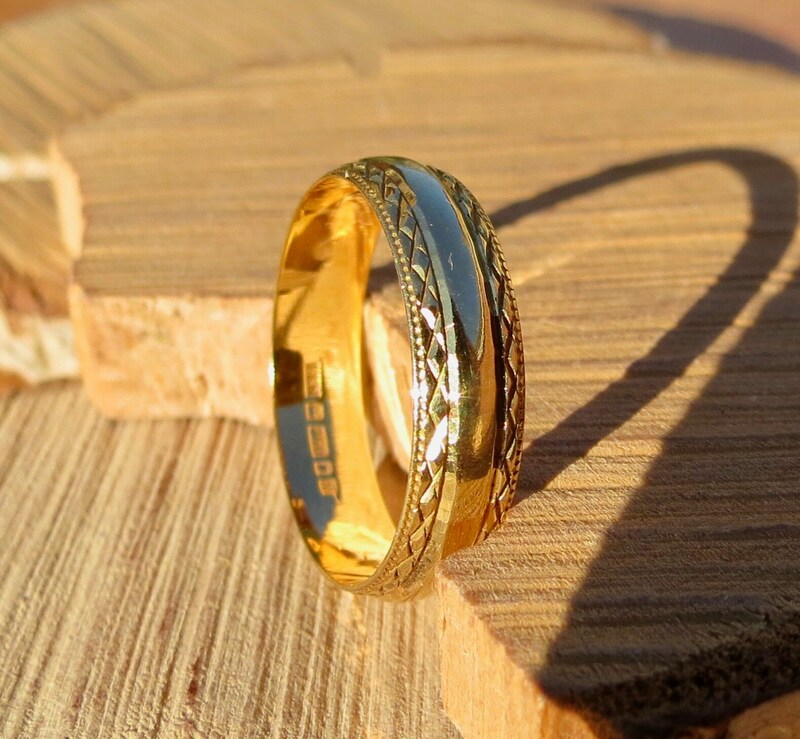 English hallmarks London 18K gold. 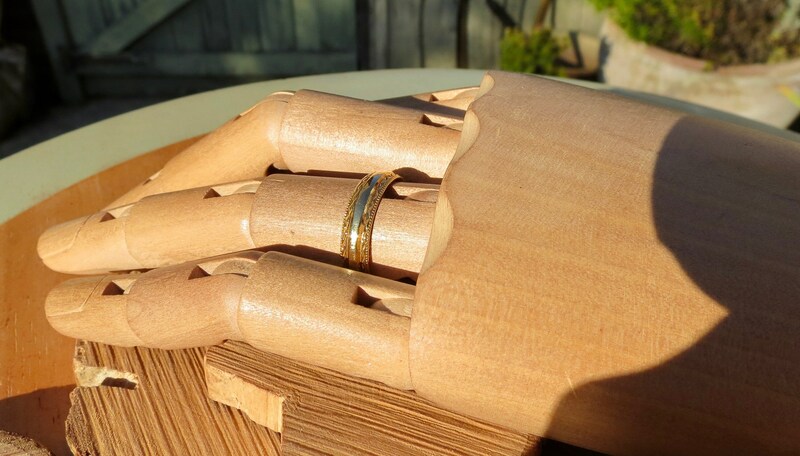 This band can be stretched a bit, but if it needs cutting to resize there will be a small blank gap in the decoration.